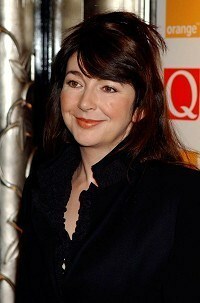 Singer Kate Bush says she may perform live again - more than 30 years after her one and only tour. Wuthering Heights singer Bush, who gigged for six weeks in 1979 then retired from life on the road, says she wants to return to the stage. In her first interview for many years she was unable to put a timeframe on her live return, but said she was aiming to do so before she became "too ancient". Bush was just 20 when she completed The Tour Of Life after topping the charts with Wuthering Heights the previous year. Over the years, theories for her absence from the stage have included her perfectionism, a fear of flying and the death of one of the tour crew, lighting director Bill Duffield, during a show. "It was enormously enjoyable. But physically it was absolutely exhausting," she said. "I still don't give up hope completely that I'll be able to do some live work, but it's certainly not in the picture at the moment because I just don't quite know how that would work with how my life is now," said Bush, who has largely withdrawn from public life to bring up her son Bertie, 12. "Maybe I will do some shows some day. I'd like to think so before I get too ancient - turn up with me Zimmer frame." She continued: "I enjoy singing but with the albums it's the whole process I find so interesting. If I was going to do some shows it would be the same thing. Let's just see, shall we?" Bush is to release her first album for more than five years next month, The Director's Cut - a collection of reworked songs from her albums The Sensual World and The Red Shoes. Her last album, Aerial, came out in late 2005 and was itself her first new release for 12 years.